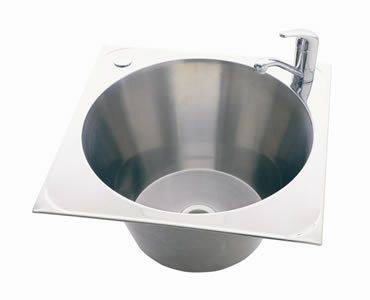 The Como 23 litre multi-purpose sink is an new product offered by the reputed sink manufacturer, Everhard. Featuring a unique blend of style and practicality, this top-mount insert sink is perfectly suited for kitchens, wet bar areas and even in laundries. Everhard offers this sink in three variants – without a punched hole, with one punched hole and with two punched holes. The sink measures 480x480x202mm in dimension and boasts a bowl capacity of 23 litres. 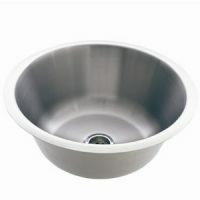 It is made out of top grade 304 stainless steel and includes a 50mm stainless steel waste. This sink can certainly handle heavy-duty usage. 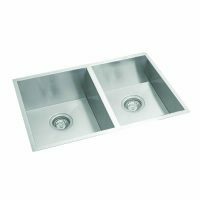 Everhard is a sink manufacturer who is known for offering high-quality products. 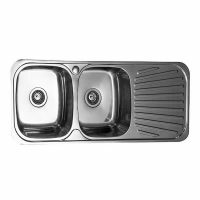 The Como range of insert sinks is yet another fine product from the company. As a mark of quality of workmanship, Everhard offers an impressive 25 year guarantee on the stainless steel bowl, as also a 1 year guarantee on all accessories, plugs and waste. Rest assured and make your purchase – this sink is definitely a top notch product! Buy this product from Ross’s Discount Home Centre at a great bargain. You cannot expect to find this product at a lower price in the market!